Just a note. 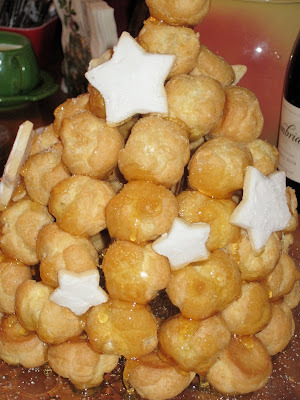 That was my first try at the croquembouche. I have to say it's a funky shape but it went down well. If anyone wants to try making one, I have some tips to take out some of the hard work. I'm a busy mom of two and quite a novice at baking. With such limited time I decided to shorten to process by not making the cream puffs, but instead buying them already made. This saved about a half of the day. Since I was bringing them to a dinner party and knew we wouldn't be eating it for a few hours, I froze the puffs until ready to build. 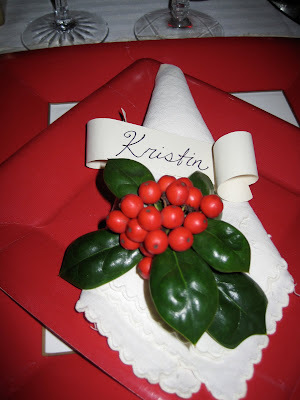 This gave the dessert extra time to stay fresh as it thawed gracefully during h'oredourves and dinner. 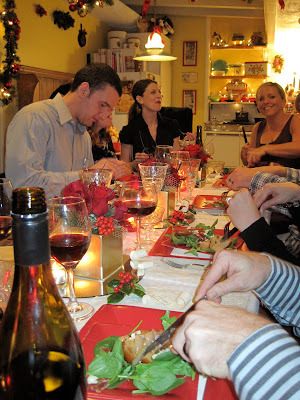 By the time we got to enjoy my croquembouche, it was the perfect temperature to share with friends. In the future, if I plan to serve immediately, I will make fresh cream puffs at room tempurature! Cheers!